We have already mentioned the wine farms, but it deserves a second mention, a third, and a fourth… you get the idea. Right on the city’s doorstep, the Constantia Valley is home to some of the oldest and most prestigious farms in the country. All the farms are close together, meaning you can hop from one to the other with minimum fuss, but we would recommend taking two to three days to really explore the area properly. Each farm has its own unique selling point and charm, but one thing they all have in common is fantastic wine and superb attention to detail. Groot Constantia, Klein Constantia, Steenberg Vineyards, Constantia Glen Wine Estate, Beau Constantia, Buitenverwachting, Constantia Uitsig, Eagle’s Nest and Silvermist all await you in the valley. For help in unpacking it, contact Constantia Wine Route. Of course, Constantia has more on offer than the wine farms, with a huge amount of restaurants and bars to choose from. Expect generous portions of starters, salads, seafood and burgers in a relaxed setting, while the adjacent The Oak Terrace provides a sunny, outdoor setting for casual eating with family and friends. Peddlars may have undergone something of a transformation, but it is still an institution in the valley. Part of the popular Primi Piatti franchise, the Constantia branch is a staple in the Old Village Square at Constantia Village. Serving pasta, pizzas, burgers and more, the food is wholesome and well-priced and the restaurant is very family friendly. Awarded as EatOut’s Best New Restaurant for 2016, Foxcroft has fast become a favourite amongst the Cape Town foodie crowd. With a bakery producing some of the most delectable treats (and #MacaronMondays making Mondays great again), an offering of tapas under their oak trees and their fine dining menu, it’s easy to see why Cape Town has fallen in love. The oldest restaurant in Cape Town, Constantia Nek, has undergone some serious renovations by the Harbour House Group and now houses a Harbour House Restaurant and a La Parada. The former serves fresh, tantalising, light meals with arresting views of the idyllic Constantia valley, while the latter serves up some of the best Spanish-inspired tapas in town. It’s the best of both worlds, with an unrivalled view! The Silvermist Wine Estate has two restaurants on its grounds – the Green Vine Eatery – serving up breakfast, platters and wine tastings – and the world-renowned fine dining restaurant La Colombe. The views from the eatery are pretty spectacular and even more so at La Colombe. The Eatery is cosy and exudes natural warmth making it a great option for cosy winter lunches, while La Colombe is fine dining at its very best with a gourmet menu and some of the finest wines on offer. Unwind with a glass of wine and scrumptious French cuisine in front of a blazing fire at the quaint brasserie Pastis, in Constantia. Situated alongside the vineyards of Groot Constantia, it exudes warmth and an informal vibe. One of the most beautiful settings in the Valley, Steenberg Estate boasts two world class restaurants. Catharina’s – named after Catharina Res who founded the farm – offers contemporary comfort food and 100 of the finest local wines to choose from. Bistro Sixteen82 first opened in 2009 and has since become a favourite for its tapas and bistro style dining. With breakfast, lunch and late-afternoon tapas menus to choose from, the Bistro provides fine dining with an inimitable contemporary spirit. The restaurants at the Cellars Hohenort are both award-winning restaurants with seasonal menus that you have to experience for yourself. The Conservatory was built around a 200-year-old oak tree and with a backdrop of Table Mountain and the camphor trees at its foot, it exudes a comfortable and laidback ambience, which is paired wonderfully with its sophisticated menu. The Greenhouse offers a playful tasting menu, offering up local flavours like you’ve never seen them before. Executive Chef Edgar Osojnik’s channels his Austrian roots in his retro-style dishes, which range from light and easy to rustic and indulgent, catering for relaxed and deli style lunches, dinners, but also offering a limited selection of fine dining dishes. Expect dishes that resemble mouthwatering artworks in a dreamy location. One of the oldest estates in the country, Groot Constantia boasts two top-notch restaurants – Jonkershuis and Simon’s. These two beautiful restaurants also offer the perfect setting for any event – from a wedding to a conference. Jonkershuis is situated next to the historic Homestead and surrounded by ancient oak trees. Here you will find food, wine and a fire to warm body and soul. Simon’s restaurant offers gorgeous al fresco dining on the terrace with panoramic views of the vineyards as well as cosy fireside meals in winter. This great little spot is perfect for families – big and small – serving wholesome meals, with generous portions in a quaint setting with a shaded veranda and sun-kissed lawn area. Their Sunday country-style breakfast and roast buffets for lunch are legendary and so are their baked cakes and scones for tea time. Something of a hidden gem, the Bay Sports Bar calls the False Bay Rugby Club home. The restaurant serves a simple menu boasting impressive portions at even more impressive prices. It is perfect for the family with a great outdoors play area for the kids and is a great place to watch the rugby with a number of flat screens inside and a marquee often put up for test matches. Westlake’s 18-hole Golf Club sits at the foot of the Silvermine mountains in a beautiful setting abundant with bird life and is only 25 minutes from central Cape Town. Situated in the heart of the Constantia suburb, Constantia Village has all the convenience of a mall, but its wide, open spacing creates the ambience of a village square. There are a number of high-quality restaurants and coffee shops, high-end boutiques and big-name shopping chains. Whether you are looking for an intimate dinner for two or some retail therapy, you will be well served at Constantia Village. 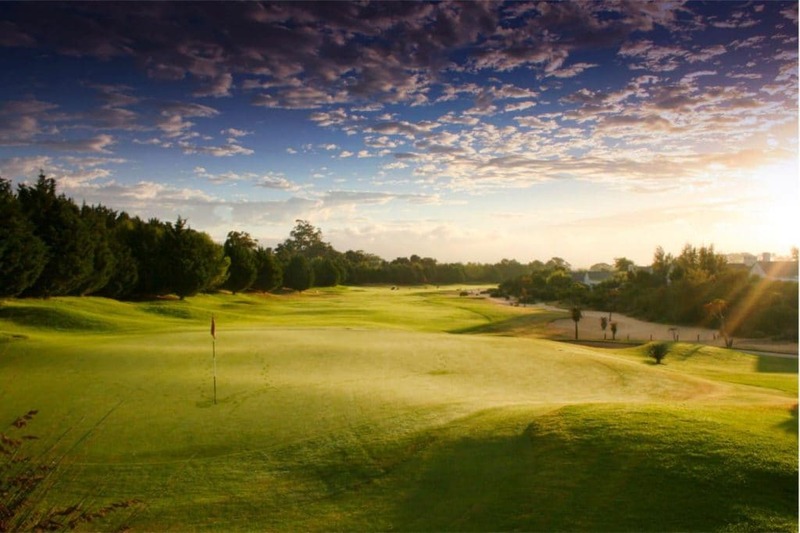 Described as a ‘Green Haven’, Steenberg Golf Estate 18-hole course is situated at the foot of the Constantiaberg Mountains on a working winery, amidst five-star restaurants, a spa and a two-tier driving range. Steenberg Golf Club is known to the golf elite for its great service and overall memorable experience. The course is not too challenging and typically in good condition. Another one for the adrenaline junkies. 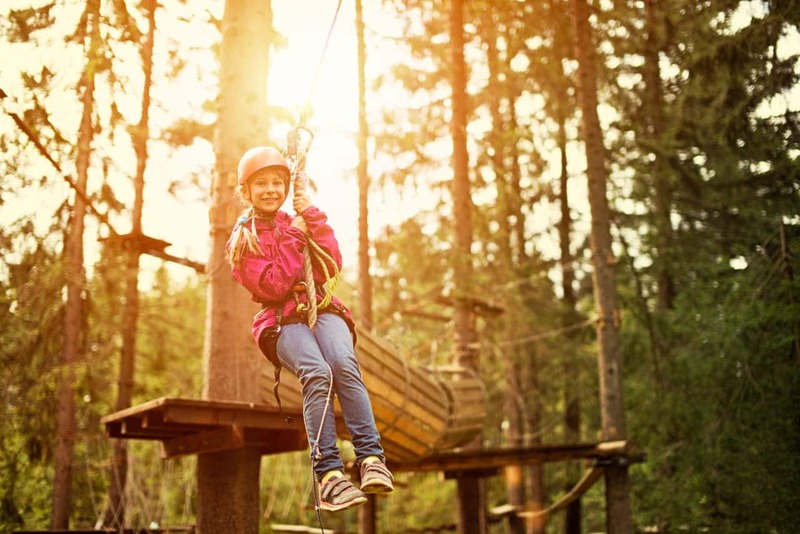 Take on your fears on one of Acrobranch Cape Town’s action-packed aerial courses. Each course is specifically designed to test your limits – good fun for both young and old. Stopping off at Groot Constantia, Eagles’ Nest and Beau Constantia, there’s no better way to see the wine route than with Cape Town’s beloved Red Bus, the City Sightseeing bus. With an informative audio guide in 15 languages, you’ll get clued up while marvelling at this picturesque neighbourhood of Cape Town as you hop on and off as you please. A custom-made wine tour in the wine valley of legends with exclusive access to certain farms and the option of meeting a local wine-maker, makes for a memorable experience in one of Cape Town’s top wine regions. The Constantia Valley was made for trail junkies. The Constantia Green Belts provide a number of relatively easy routes for runners. If you’re looking for more of a challenge, you can head up Constantia Nek for some tough climbs and single track. Just make sure somebody knows where you are. And take a map! You can find these at our Visitor Information Centres. One of the best ways to take in the Constantia Valley is on horseback. There are a number of companies that offer outrides through the vineyards as well as pony rides for the kids. The five-star hotel boasts luxurious accommodation including striking heritage suites, contemporary premier rooms, family rooms and the charm of sunny barn rooms as well as those in the original Manor House. Add two world-class restaurants, an 18-hole golf course and an award-winning winery and you have your home away from home! Located in close proximity to the area’s restaurants and with easy access to all major attractions, Constantia Cottages has been endorsed as highly recommended by the AA Quality Assured Accommodation Program. This luxury guest house accommodation borders the beautiful Constantia Green Belt. It is surrounded by eight vineyards, pubs, superb restaurants to suit all tastes and budgets, golf courses and the magnificent Kirstenbosch Botanical Gardens. What more could you possibly ask for? How about world class accommodation and business facilities? Done. Paradiso is a family run guesthouse and self- catering cottage, offering guests friendly and personal service is set in a tranquil treed garden with sweeping views of the distant Constantiaberg Mountains, Constantia valley and its wine farms. Escape to a wonderland of contemporary glamour and sensual pleasures where charm and character of classical heritage merge beautifully with modern finishes and surprise design elements. 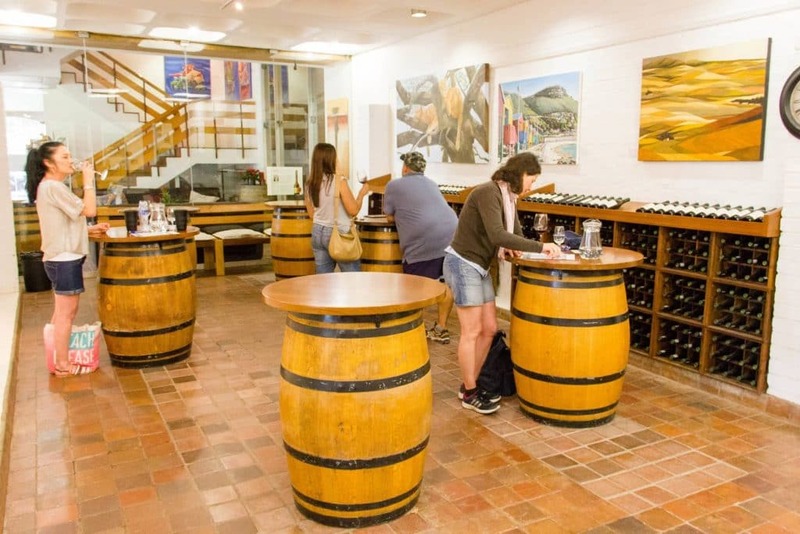 The Cellars-Hohenort is ideally situated as a central point from which to experience the diversity of activities, including Cape Point, Robben Island, Table Mountain, Kirstenbosch Botanical Gardens, the Constantia Valley Wine Route and the famous beaches of Boulders and Camps Bay. All 48 rooms and suites boast panoramic views of the iconic mountain or over the 9.5 acres of beautifully manicured gardens. 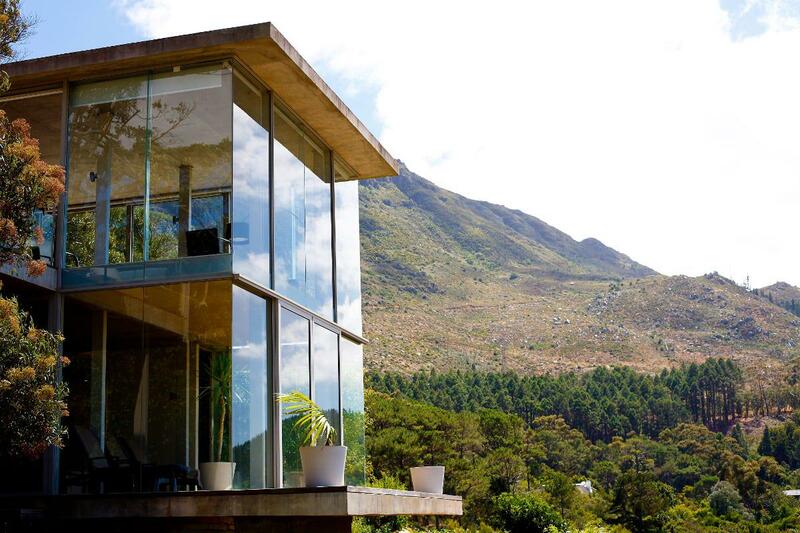 Situated on the forested Southern slopes of Table Mountain and within the Table Mountain National Park, this rustic luxurious 60-acre lodge is just minutes away from Cape Town’s wonderful beaches, Constantia wine lands and restaurants and boasts 22 self-catering cottages. Nobody knows Constantia better than a local. When you’re in town be sure to visit the closest VIC at Kirstenbosch where staff can help you really uncover the magic on offer in Constantia and surrounds. Also be sure to visit www.constantiavalley.com for all the ins and outs of what is on offer in the Constantia Valley. SPECIAL THANKS TO CONSTANTIA WINE ROUTE FOR ALL THEIR WORK IN HELPING US UNCOVER THE AREA.